Initial evaluation should be done with plain radiographs, however these do not reveal the fracture up to 40% of the time. 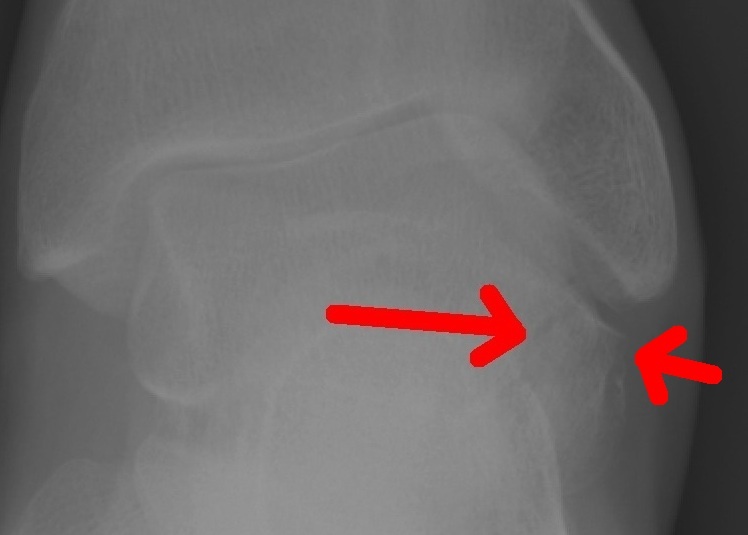 Obtaining a mortise view (plantar flexion along with 20-25 degrees of internal rotation) will help to increase the sensitivity of plain radiographs in the diagnosis. Scrutinize the lateral process of the talus on this view. CT scan is much more sensitive but is not standard in the ED for twisting ankle injuries with negative x rays. Patients diagnosed with ankle "sprains" should be educated and given proper follow up so that these fractures can subsequently be diagnosed if the "sprain" isn't healing as timely as expected.